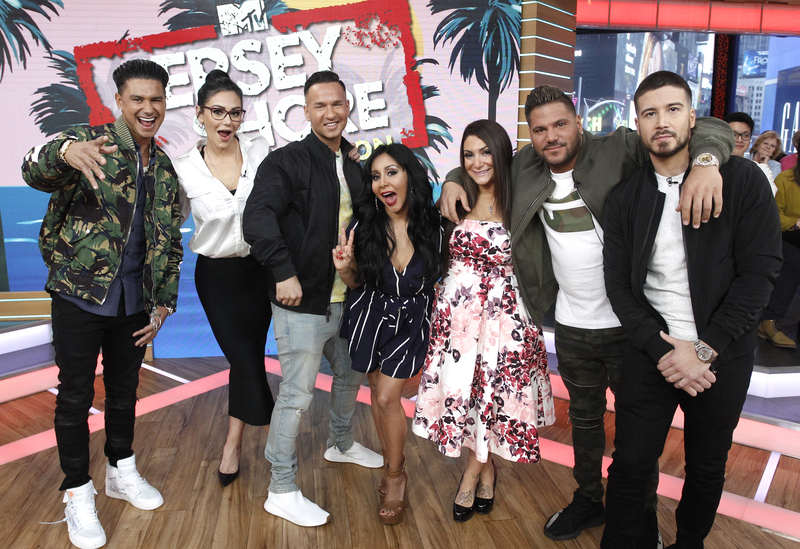 Those crazy guidos and guidettes everyone loves from Jersey Shore are back, and honestly, we've been missing them. No one does drunken messiness quite like they do, and the Jersey crew all do it with shameless pride. Now that they're all returning to television for their new season, Jersey Shore Family Vacation, we're celebrating Shore style. After all, what premiere watch party is complete without a drinking game? You can even fist bump as you're playing it (actually, on second thought, please don't do that). Our special Jersey Shore drinking game is perfectly tailored to the new season and features all your old favorites, from Jenni "JWoww" Farley, Pauly D and the "keto guido" version of Vinny Guadagnino. Unfortunately, Sammi "Sweetheart" Giancola won't be on the new show, but while playing the drinking game, you'll hardly even notice that she's not there. Not only will this game get you tipsy, it will make watching the premiere feel like an interactive experience. Hey, if the gang gets to get stupid drunk, why can't we? And if you're a lightweight, you better pray Mike "the Situation" Sorrentino doesn't show up too much with his legal woes and cringey jokes. Otherwise you might end the night face down on the floor a lá Nicole "Snooki" Polizzi. Here's how to play. Print out or save the image above. Make sure to read it first before the premiere. Playing the game is a lot easier when you have the majority of the prompts semi-memorized. Next, get your booze ready. You can drink whatever your alcohol of choice is, but make sure you have at least a bottle of vodka or tequila around to take shots with. As you're watching the show, chug your drink or take a shot every time you see one of the prompts listed on the sheet. It's easy and fun to play, but it's deadly. Don't say we didn't warn you! Ronnie Magro's Girlfriend Welcomes Baby No. 1 — It's a Girl!